According to practically every animal book and Discovery channel episode, rhinos are the most dangerous animals on the planet. Their sight is terrible, so they basically just attack whatever animal or person is lurking around on an off-chance they're a threat (and they sometimes are, and I will definitely get to that). And like basically all animals, they are hyper-territorial. But not Gertjie the baby rhino. Gertjie wouldn’t hurt a fly (actually, he might, I make NO promises here). In this stupidly cute video, Gertjie and his lamb friend (uninspiringly name “Lammie”, which clearly reminds me of Khloe and Lamar) are playing tag with each other. Or, more accurately, they're playing I’m Going To Run Up To You And Then Run Away From You! which I think is the rhino-lamb reinvention of tag. 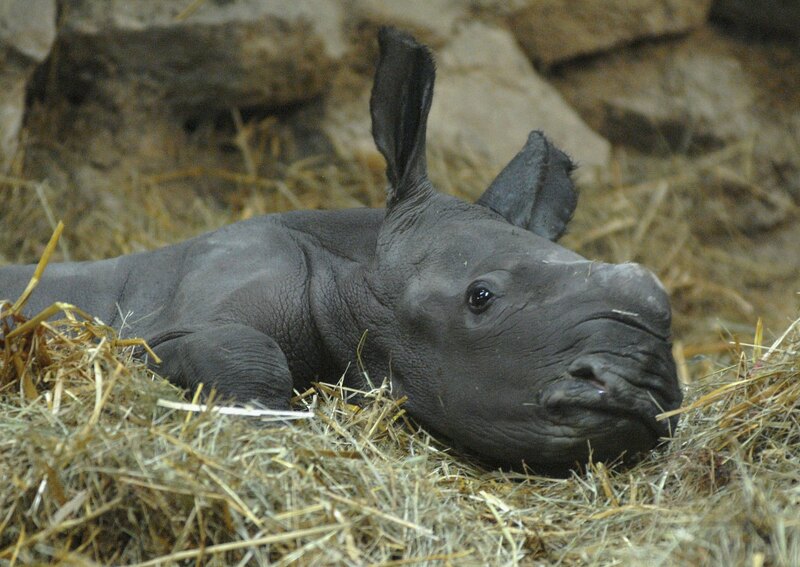 If you’re not up to speed on your baby rhino videos, this baby rhino video is actually very, very important, because this particular baby rhino is especially sympathetic: Gertjie was left orphaned when he was just a wee babe when his mom was killed by ruthless, inhumane poachers. This is still such a devastating, sad problem in the world, and it's heartbreaking to see so many animals being hurt or being killed for senseless reasons. Luckily, Lil G is being taken care of by Hoedpsruit Endangered Species Center, and he’s pretty much the life the party. Little dude is so rambunctious, he even has his very own webcam. You can check out other videos of Little G taking a mudbath, exploring his new home for the first time ever, and other really, really heart-bursting-because-of-all-the-cuteness rhino shenanigans.